I was a gauche teenager in 1968 and really rather ignorant of politics. My thoughts were all about training to be an actress by winning a place at one of the more prestigious London drama schools. So 1968 passed me by, which, I think now, is a great pity. 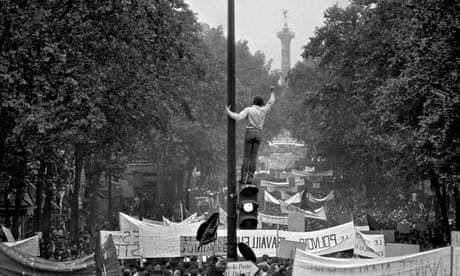 It has, however, made the research for the new novel all the more fascinating, and if I could live those adolescent years of mine again, I like to think that I would get myself to Paris to participate in the student revolution. 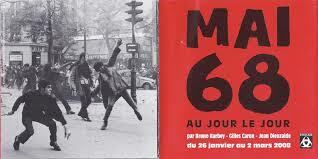 To have been what the French call a ‘soixante-huitard‘, one who participated in the events of May 68. It is for that reason that I have had a very exciting time writing of the involvement of my young English protagonist, Grace, who finds herself in Paris at that time and gets drawn into the fight and the building of the barricades. In 1968, the US was in Vietnam. Americans and youngsters elsewhere in the world were beginning to voice their opposition to the US involvement in Asia….